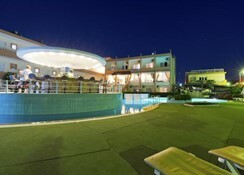 The BaySide Katsaras Hotel is situated in a tranquil location just 5 minutes from the beautiful village of Kremasti on the west coast of the island paradise of Rhodes. 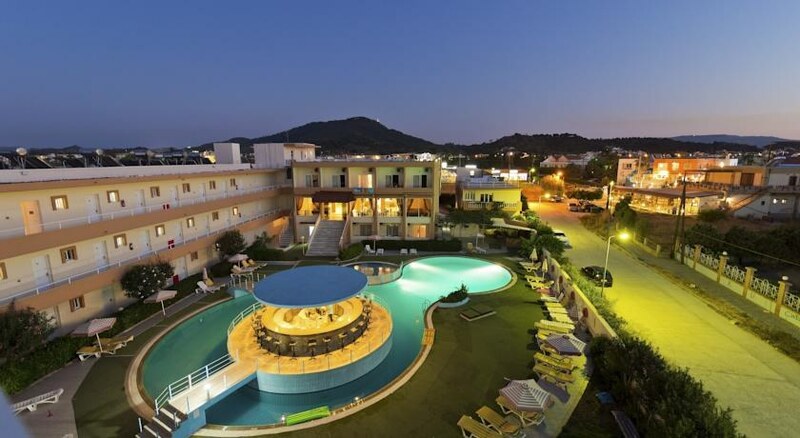 A short walk to the beach and 12 km from Rhodes town, this friendly 3 Star complex offers a total of seventy 2 and 3 person studios with modern amenities, and a welcoming atmosphere that will appeal to those looking for a quaint, traditional Greek getaway. Guests to the BaySide Katsaras Hotel will appreciate the simple but tasteful décor and relaxing atmosphere. The new dual carriageway across the island makes it a great choice if you want to tour the whole island. Rhodes Airport is 3 km from the hotel. Local Tips: Conveniently situated 500 m from the village centre there is easy access to supermarkets, tavernas and bars. Food, drink and entertainment: Self-Catering accommodation. The BaySide Katsaras Hotel has a lively poolside snack bar is open daily and the cocktail lounge/bar offers occasional entertainment (during peek season). Sports, games and activities: Swimming pool, sun beds and parasols, weekly organised activities that take place in the hotel's premises. Additional: 24 hour reception, laundry, safe box at reception. Rooms are cleaned 3 times a week, towels and sheets are changed twice a week.